The reputation of the residential care homes sector is in desperate need of repair, with shocking examples of abuse and degrading treatment. Just 40% of the British public would be willing to move a family member or themselves into one, market research from Mintel reported in 2015. And a mere one in five believe the quality of care received in a residential care home would be better than in their own home. With the children of ageing parents faced with crippling guilt over the decision and the exorbitant expense for residents or their offspring, something has to give. So the opportunity to provide a wellbeing service to some of the UK’s care homes is a real one. Inevitably the cost of taking a place in a care home is the biggest consideration for choosing a care home, followed by the scale of independent living, according to Mintel’s research. In third – ahead of being close to relatives and the medical training of staff – is the specialist services and/or staff on offer. If one assumes that this means services that boost a resident’s wellbeing then it’s clear care homes that excel in this area stand to build an enviable reputation. And that’s where you could come in. In 2011 there were 291,000 people aged 65 and over living in care homes in England and Wales, according to Office for National Statistics Census figures, which amounts to 3.2% of the population. Other estimates suggest the number of residents is actually higher, with figures of between 10-20,000 care homes, depending on which source you choose to cite. And bearing in mind the number of people aged 85 or over is predicted to double in the next 20 years and nearly treble in the next 30, the number of resident care homes is highly likely to rise. Some reports have suggested an extra 630,000 places would need to be created in the next 20 years as many of Britain’s ageing population reach the point of being unable to live independently. Yet a review by the British Geriatrics Society and the Care Quality Commission in 2012 found the needs of residents were being neglected. And alongside a range of medical services such as those dealing with dietetics, podiatry, physiotherapy, occupational therapy, continence, falls and tissue viability, calls for improvements in wellbeing have become stronger too. As Age UK’s report Agenda for later life 2014: Public policy for later life found, it has become harder for older people to manage their physical health, with their ability to do this “undermined by public health approaches and leisure facilities that act to exclude them”. Wellbeing, it said, is also impaired by a lack of understanding of the positive impact of physical activity with people over 75 far less likely to meet minimum recommended levels. Rather than medicalising wellbeing in later life, Age UK called for wider public health initiatives that are relevant and effective for older people. But beyond the public sector, the private care homes have the opportunity to up their game too, starting with proactively searching for services that meet their residents’ physical needs while also offering enjoyment and engagement with fellow residents and their carers. “Companies operating in the sector have to improve the public’s perception of care homes and show that their care services are greater value for money than other types of care to fully take advantage of this favourable demographic trend,” says Lewis Cone, senior research analyst at Mintel. Who else has started a care home service business? One start-up that recognised the issue and has sought to provide a solution is Oomph! 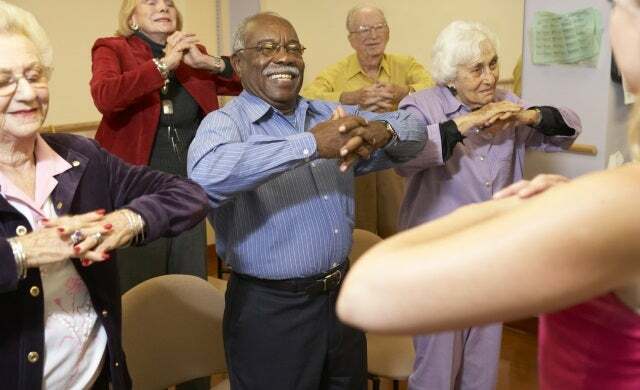 Wellness, which in just three years claims to have become the UK’s largest provider of fun, inclusive and effective exercise classes for older adults. Started by Ben Allen when he was just 26 and backed by some big names in care, fitness and social enterprise, including National Association for Providers of Activities for Older People (NAPA), Skills Active, Nesta and the Big Lottery Fund, Oomph! already works with more than 750 care homes across the UK. But given the size of the sector, there’s room for others or different approaches. And there’s no reason to rule out the opportunity to become a provider of other activities, such as music or singing, gardening, rambling, drama, animal care, arts and crafts, which many care homes already provide. Oomph! is setting a high standard and founder Ben Allen showed foresight in noticing the poor quality of care in the area of fitness for older adults. Already a senior lecturer in the subject at the European Institute of Fitness and Australian Institute of Fitness he is also suitably qualified but has a simple philosophy of getting residents engaged and smiling through music of the residents’ era rather than viewing the classes as exercise. “In recent years there has been a pivot towards offering quality of life for residents rather than just a home for them. The expectations of residents and inspectors has changed,” Allen says. In terms of how care homes are evolving, Allen points to “better links to their local communities” and agrees that recent high profile care home scandals has been a factor. “There are indeed many opportunities for providers of new services and products to care homes, and there are many recent examples. I would advise people to familiarise themselves with care homes – talk to staff, better still go and work in one for a while.